I was a Disney kid growing up. The numerous VHS tapes gaining dust in my Mom’s basement can attest to that fact. My all-time favourite was Aladdin, but I’m told I was a big fan of The Jungle Book, The Sword and the Stone and Robin Hood when I was much younger. And while we ended up buying and watching a lot of other random Disney movies (and some sequels), we never bought Dumbo. And the more I think about it, I do not even think I watched Dumbo in it’s entirety until I bought the Blu-ray myself nearly ten years ago. I knew who he was, but the fondest memory of the character I have was his brief appearance in Who Framed Roger Rabbit?. 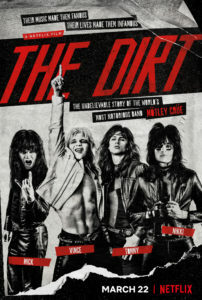 Which made this weekend’s release of the live action remake/reimagining/rewhateverweshouldcallit all the more interesting. 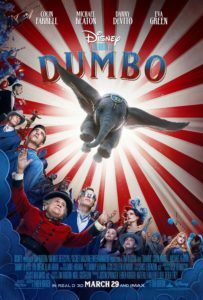 Unlike Guy Ritchie’s Aladdin remake I’m destined to be much too critical of, my nostalgia for Dumbo does not run nearly that deep. Having recently re-watched the original film, I was genuinely shocked how little I remembered about it. And sure, I am not the biggest proponent of Disney remaking every single one of their animated classics, but I was willing to give this one a chance because of its stellar cast and because I still have a soft spot for Tim Burton.